Control non-B&O devices from your Bang & Olufsen BeoVision TV! Our Infa-red (IR) transmitter will allow you to control non-B&O A/V devices directly from your Bang and Olufsen BeoVision TV using the IR Control socket (normally marked C1, C2, etc) on the back panel of the TV. 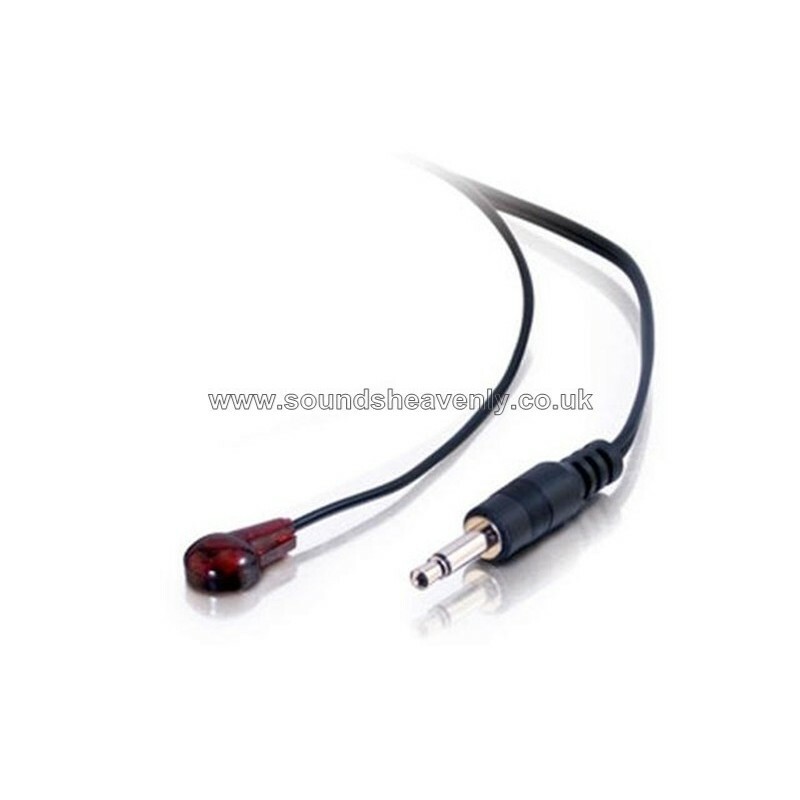 The cable has a fitted 3.5mm minijack plug at one end for connection to the BeoVision TV; the other end of the cable has an infra-red transmitter fitted with a self-adhesive pad for mounting near or directly onto the A/V device you want to control. This transmitter cable comes in a 3 metre length as standard. Longer lengths can be obtained by purchasing the transmitter together with a minijack extender cable to give either 2m or 5m extra length. * For Beoplay V1 and Beovision 11 televisions (2012 onwards), please select the the RJ45 V1/BeoVision 11 version of the cable. Note: please check that you do have IR Output sockets fitted to your TV before ordering, as not all models had these fitted as standard. In order to use this cable your TV will need to be capable of controlling external devices and you will need to have the device that you want to control added to the TV's internal device list by your B&O dealer - if you are in any doubt, please ask! The infra-red transmitter fitted to this cable works over a distance of up to 1 metre, so it can either be placed inside a cabinet (facing towards the device to be controlled), or directly onto the fascia of the device to be controlled (just to one side of the IR receiver on the device). We recommend that you test the control of the device before sticking down the self-adhesive tape.